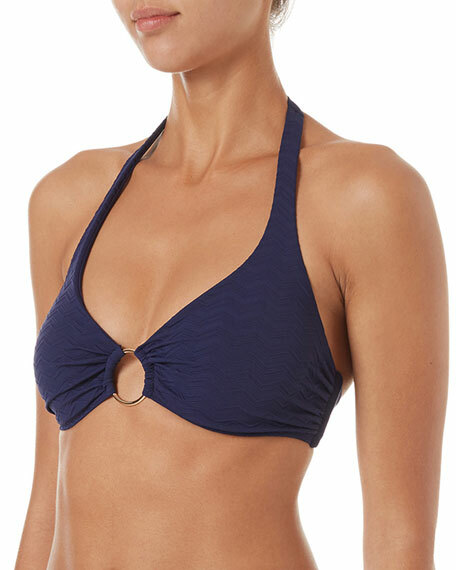 Missoni Mare swim top in striped microfiber with metallic. Halter strings tie behind neck and mid-back. For in-store inquiries, use sku #2384312.